We want to update you about our recent activities and share some news from several of our friends and partners. The Speaker Series in our New Jersey office continues and we are pleased that many of you have been able to join us. Now that we have learned how to "Get Organized" with Joan Melroy and to "Manage Stress" with Erin Palinsky, we are preparing for a "Chan Meditation Workshop" with Rebecca Li and "Music Improvisation" with Lynn Saltiel in March and April! For details on our upcoming Speaker Series, which are made possible by the generous support of the United Way of Central Jersey, click here. 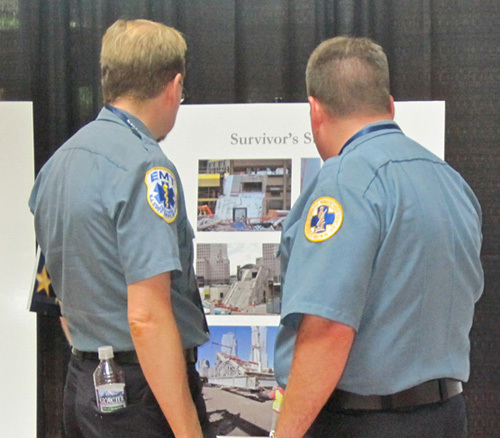 Today our staff hosted our first Information Forum on the World Trade Center Health Program. This program will help survivors and recovery workers obtain the medical and mental health care they need. If you would like to know whether you might be eligible for medical assistance under this program, we encourage you to call Debbie Westfal at 855-709-0100 (toll free) or email her at WTCHP@voicesofsept11.org. 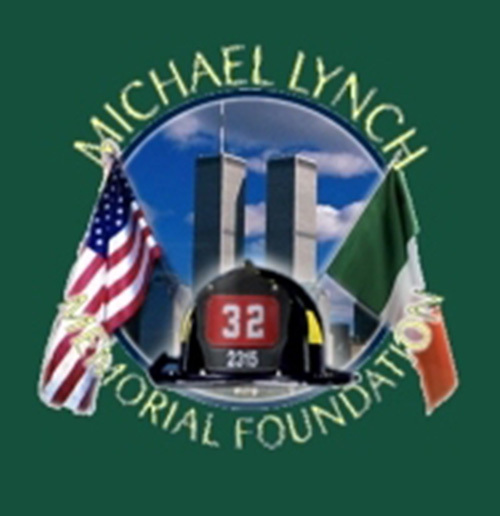 The Lynch family asked that we remind you that the deadline for the college scholarship applications for the Michael Lynch Memorial Foundation is March 1st. These scholarships are open to the children of firefighters, the children of victims of the September 11th attacks, and the children of other victims of disasters and fires. Since 2002, the MLMF Scholarship has awarded over $2.9 million dollars in scholarships to 117 young men and women. Details on eligibility and the application process can be found on their website, www.mlynch.org. On March 14th, the Historical Society of Princeton is co-sponsoring a talk by Alice Greenwald, Director of the 9/11 Memorial Museum. 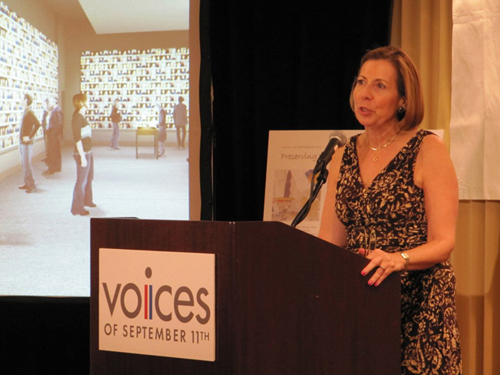 Her topic will be "Memory and Meaning: Building a Vision for a Museum at Ground Zero" and will focus on the challenges of commemorating the attacks on September 11th and will outline the process of planning the museum. As many of you have contributed photographs, recordings, and other mementos to the museum, I am sure you will find the presentation of special interest. For more information about the event, click here. Finally, we have been asked to forward an update from the Office of the Chief Prosecutor of Military Commissions about the ongoing trials in Guantanamo Bay. To view the message, click here. There are also several articles about the trials in our In the News section below. 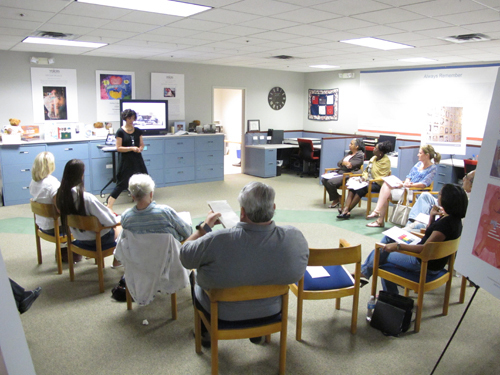 If you have any questions about our programs, or if we can be of assistance, please contact us at 203-966-3911. For a full schedule of upcoming workshop appointments. Click Here. For a full schedule of upcoming teleconference groups. Click Here. visit our website at www.voicesofsept11.org. Testimony from the special 9/11 courtroom at Guantanamo Bay this morning confirmed what defense lawyers have been complaining about for weeks now: The 32 microphones in the courtroom are sensitive enough to pick up lawyers' conversations with their clients or co-counsel, even if they've muted their own mics. What's more, both the court reporter and the government officials monitoring the proceedings for classified information receive that extrasensitive feed. Defense lawyers claim that intrudes on what are supposed to be confidential attorney-client communications. More. The revelation two weeks ago that an external monitor was remotely censoring the courtroom feed at the trial of 9/11 mastermind Khalid Sheikh Mohammed and four other defendants continues to reverberate here at Guantanamo. More. The tribunal case against Khalid Shaikh Mohammed and four others accused of being accomplices in the terrorist attacks of Sept. 11, 2001, was delayed again on Monday as defense lawyers pressed forward with concerns that their confidential communications with their clients and other counsel may be subject to eavesdropping by the government. More. In counties and cities across the country, the medical examiner is often a steady player in the rotating cast of public officials. Turn on the evening news, see that familiar face solemnly addressing a bank of cameras, and you know: Someone has died. More. FDNY Lt. Martin Fullam, from his first toxic minute at Ground Zero until his 9/11-linked death last week, never stopped fighting for his fellow first responders. More. �2009 Voices of September 11th. All rights reserved.